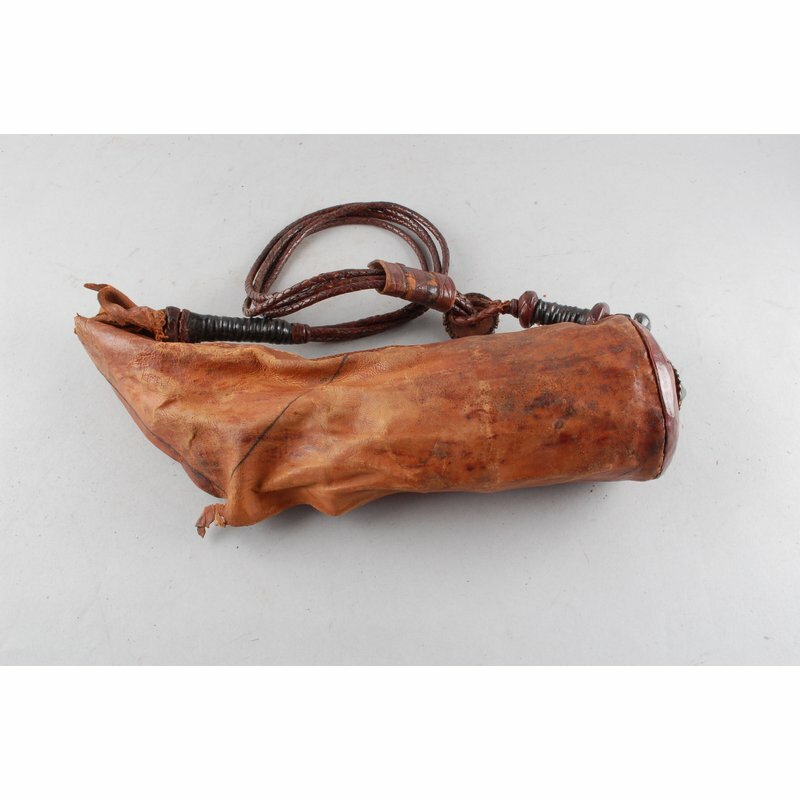 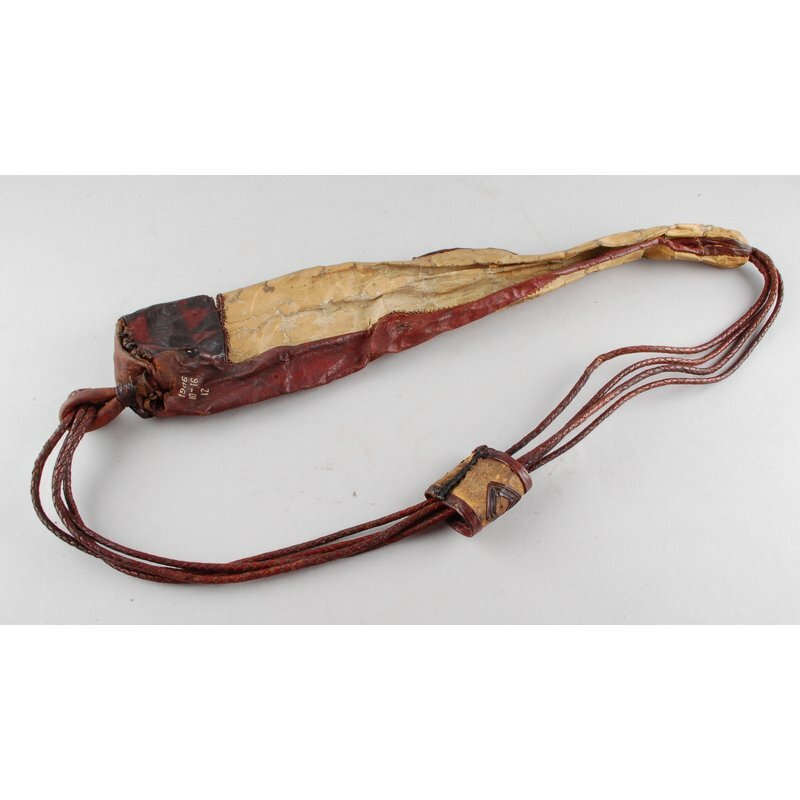 A leather pouch with flaps decorated with tooled and painted geometric design. 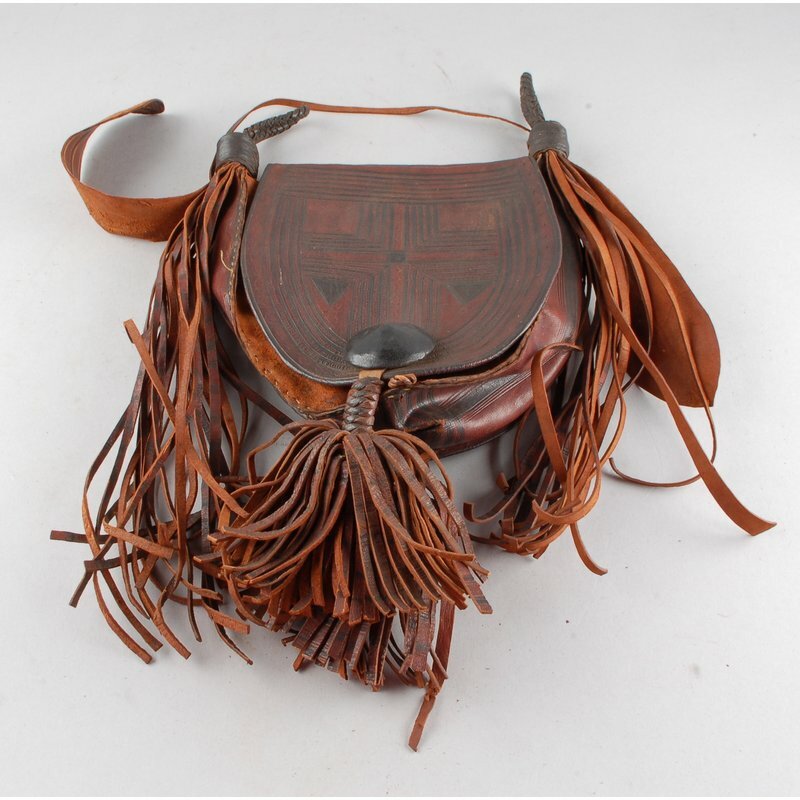 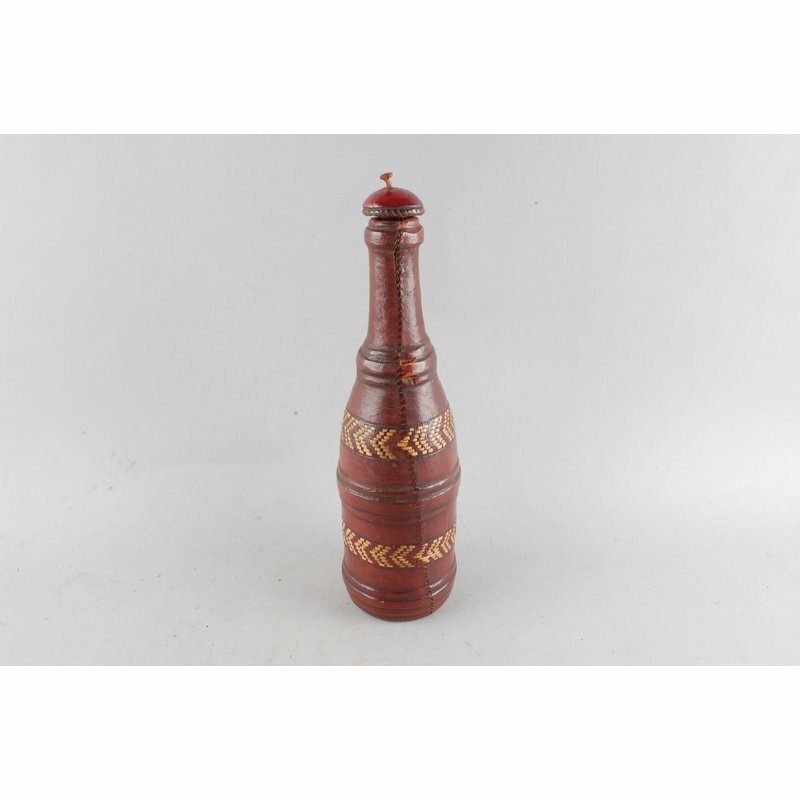 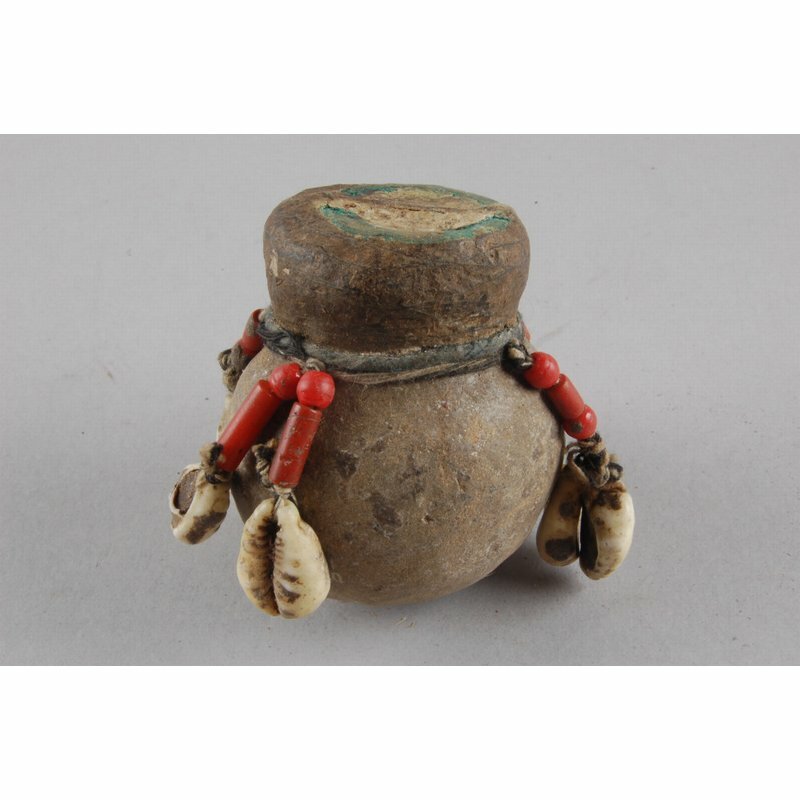 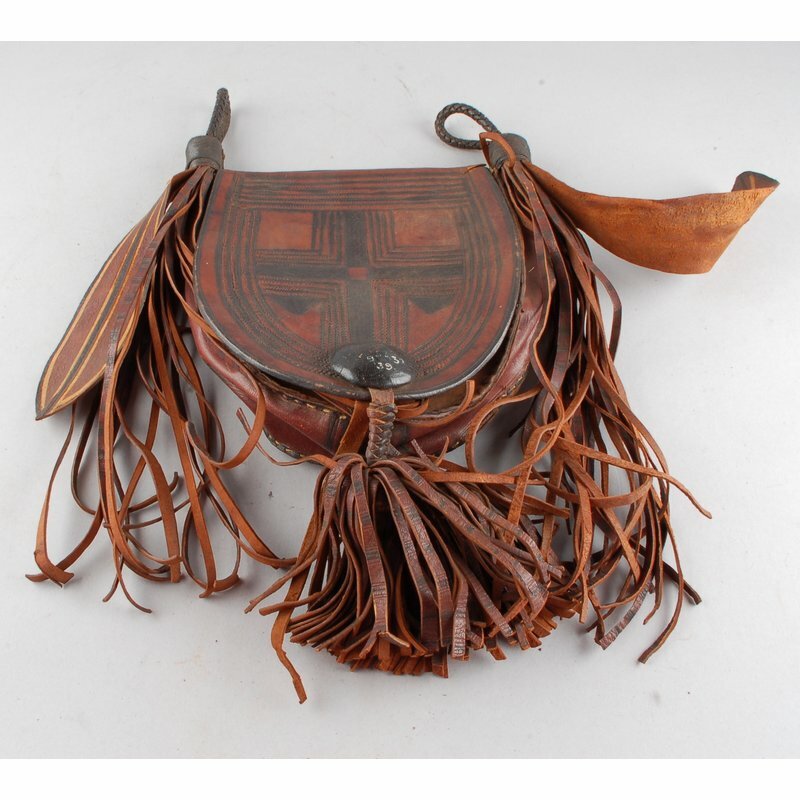 It has a leather loop at each corner, and one at the fastening, to which are attached leather tassels. 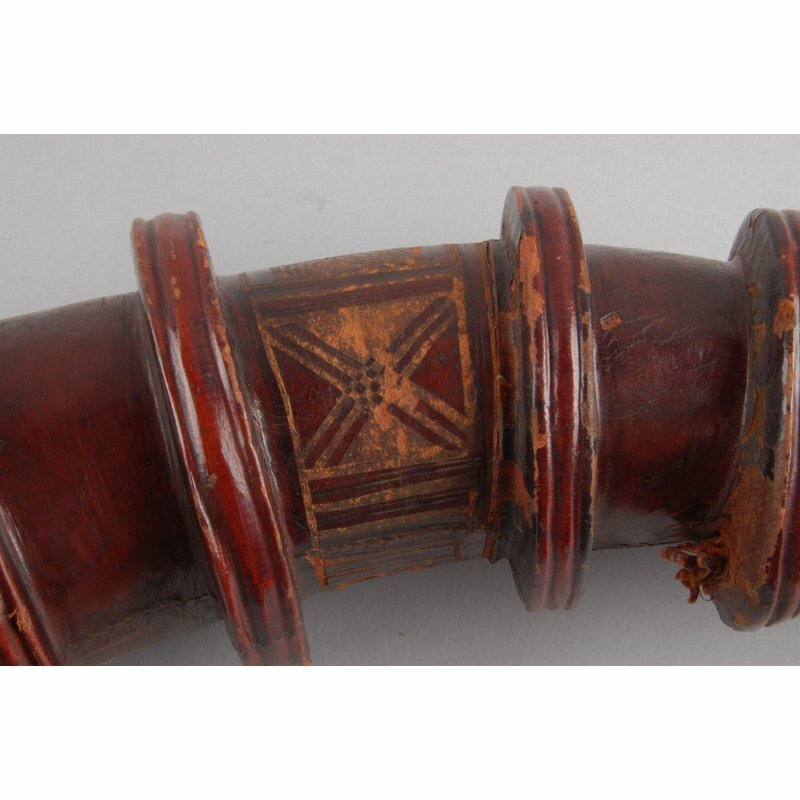 This example is typical of Muslim Sierra Leonean leatherwork in the provinces, commonly known as Mandingo leatherwork.